Batteries Included: 9V battery for controller and a 9.6V rechargeable battery pack with quick charger for vehicle. Power down the road with this fully functional Ford-150 Radio Controlled Jeep. It has a realistic design with jumbo tyres. 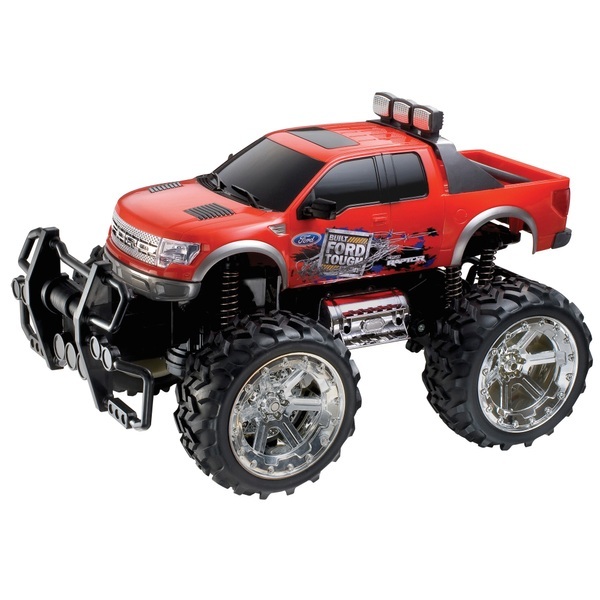 A hyper speed motor and heavy duty suspension means you are ready for any adventure with this Ford-150 Radio Controlled Jeep.